WINSTON-SALEM, N.C. — It’s a classic example of “veterans helping veterans” and putting others first. Four Wake Forest University Law School students, all with military ties, decided they wanted to add another responsibility to their work load — assisting veterans with legal claims. 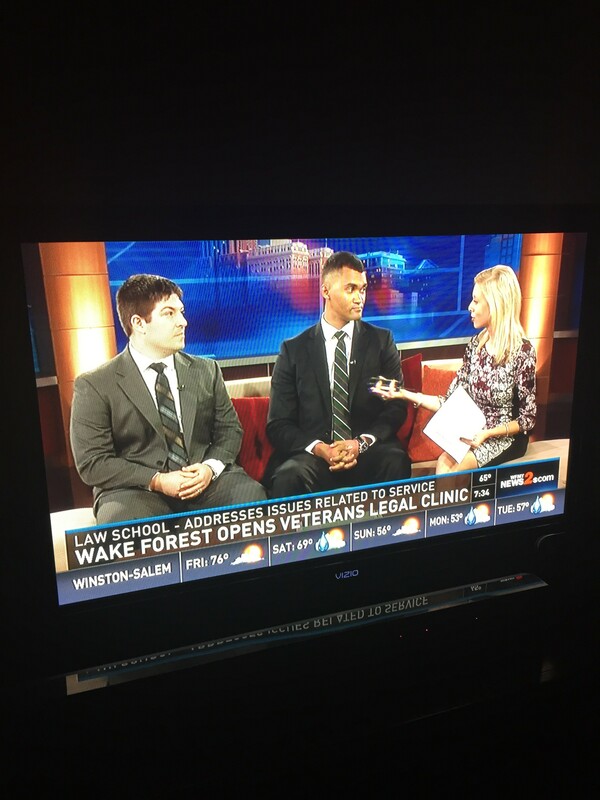 So this fall, under the supervision of Professor Steve Virgil, they opened the Veterans Legal Clinic at the school. “Many of these individuals are not given legal assistance by their service branch, and many are left without representation at all,” said Virgil. The Veterans Legal Clinic does not handle Veterans Affairs Benefits claims issues. Instead, it offers legal insight about employment law, consumer protection and discharge upgrades (for “deserving veterans who receive less than honorable discharges related to PTSD”). It also helps veterans protect their rights regarding landlord and tenant laws, when they have to terminate leases or deposits when deployed. Qualifying veterans must be members of the Uniformed Services, live in North Carolina and have a legal issue. Find a client application here. The four students who founded the clinic — Annie Matonis, Meredith Fitzgibbon, Chris Alderman (Marine Corps veteran) and Josh Harper (Army veteran) — joined the Good Morning Show on Friday, Nov. 6, to talk about how they wanted to pay it forward. Watch the students on video here.